A patchwork of small parks, conservancies and community forests, surrounded by densely populated villages with an elephant highway through it, is not an ideal mix for a conservation success story. Yet thousands of tourists are lured by Namibia’s enchanting north-eastern parks. Palm trees fringe exotic rivers, hippos grunt, elephants trumpet and a fish eagle calls overhead as a mokoro glides through a paradisiacal wilderness. While this is not the typical tourist image of Namibia, it does describe Namibia’s best-kept secret. Just twenty years ago, communities and authorities lived at loggerheads. Game numbers were critically low following the war for independence. Tourists were as rare as big game, and park facilities were in a dismal condition – if they existed at all. Residents faced poverty, joblessness and viewed wildlife as competing with them for valuable space and resources. Parks were seen as playgrounds for the rich, benefiting Government and a few individuals. North-eastern Namibia, an area once fraught with conflict, mistrust and poor management, has become a lucrative breadbasket for communities. Big game species are on the increase, ecosystems are protected, and tourism is flourishing. Authorities work hand-in-hand with park residents and neighbours to jointly manage contiguous landscapes. The foresight of the Namibian Government, supported by Namibian-German development cooperation, has helped bring about this harmonisation. Through the Bwabwata-Mudumu-Mamili (BMM) Parks Project orchestrated by the Ministry of Environment and Tourism (MET), a blend of meticulous integrated planning, development of new infrastructure and a focus on the needs of park staff, residents and neighbours has resulted in a winning recipe that provides inspiration for parks across the continent. This is supported by the Federal Republic of Germany through the German Development Bank (KfW). The project is also central to the ecological and economic development of the KAZA TFCA – the Kavango-Zambezi Transfrontier Conservation Area. Spread across the Kavango and Caprivi regions, the Bwabwata, Mudumu, Mamili and Khaudum national parks are part of ‘a new generation of parks’ that symbolise a fresh approach to conservation and development. In tandem with the country’s award-winning Community-based Natural Resource Management (CBNRM) Programme, the Namibian Government, through the MET, has formulated legislation and policies that enable local communities and other stakeholders to have a say in how parks and adjoining areas are managed. Initiated in 2006, the BMM Parks Project has built a framework to effectively manage a mosaic of areas, turning them into larger, more sensible economic units that are creating jobs and helping to reduce poverty. The Project encourages authorities, neighbours, residents, NGOs and the private sector to work together. Sound planning has helped the BMM Project turn challenges into opportunities. The first step was to develop strategies that guide short and long-term park management. Management plans set the policy framework to guide park management. Issues addressed include trans-boundary challenges, fire management, tourism operations, wildlife migrations and other such activities. The plans effectively provide staff with roadmaps for moving forward confidently. Caprivi elephant sign. Photo ©Paul van Schalkwyk. The plan builds on and extends existing MET planning procedures, while park-level management systems guide annual and monthly work activities, development plans and park zoning. Monitoring tools include the Incident Book System. Emphasis is placed on mentoring and training staff, with technical support from MET; BMM, its sister programme Strengthening the Protected Area Network (SPAN) Project; and other partners. Business plans indicate the economic viability of conservation activities and planned developments. They recommend restructuring of the north-east parks budget and staff establishment. Ironically, the very species that attract tourists to the area are the major culprits in causing conflict with people. 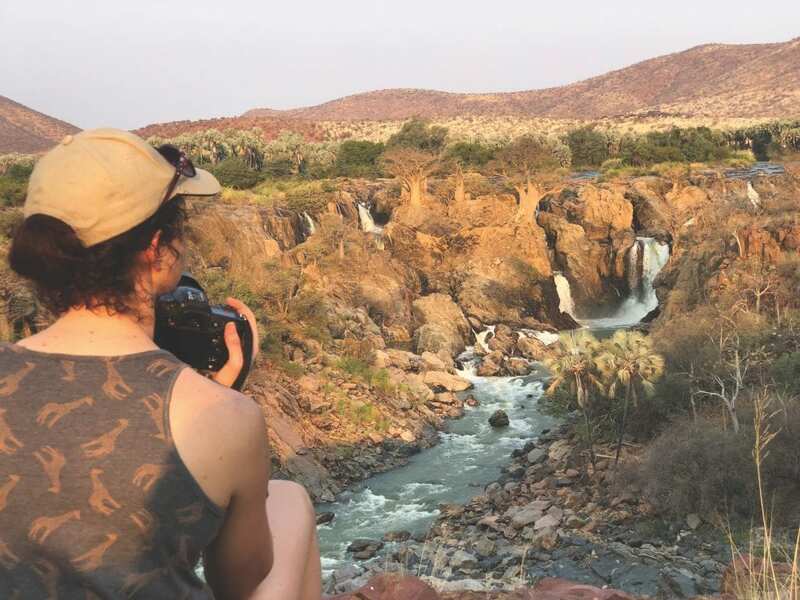 Within and alongside the Kavango and Kwando rivers lurk ever-growing numbers of hippo and crocodile, while lion, spotted hyaena, African wild dog and leopard roam the bushveld. Growing numbers of elephants – known for destroying crop fields and occasionally killing people – criss-cross a mosaic of protected areas stretching across international borders. It is an implicit guiding principle in the BMM Project that the communities that bear the brunt of conflicts with wildlife should benefit maximally from their presence. A comprehensive tourism plan is aimed at turning wildlife such as elephants from a liability into a valuable economic resource. It seeks to optimise tourism while protecting important riverine and wetland habitats. Development opportunities are prioritised for award to neighbouring and resident communities. Lodges, campsites, trophy hunting and guided walks, drives and boat trips are some of the opportunities identified in the tourism plan. Development opportunities are prioritised for award to neighbouring and resident communities. Lodges, campsites, trophy hunting and guided walks, drives and boat trips are some of the opportunities identified in the tourism plan. Caprivi elephant. Photo ©Paul van Schalkwyk. A trophy-hunting concession in Bwabwata National Park has already netted more than N$4 million for park residents. A new lodge bordering Mamili National Park has injected income into the local economy and provided jobs for many local people. Properly managed, concessions could create up to 600 new permanent jobs with an annual wage bill of about N$25 million. Around N$13 million could be earned from concession fees, which could help to sustain conservation activities around parks while creating new jobs and reducing poverty. Additional annual income of about N$2 million from park-entry fees will be added to state coffers, some of which will be redirected into conservation programmes. Through concession and park fees, wildlife is effectively paying its board and lodging for the land it inhabits. Bwabwata, which encompasses the old Caprivi Game Park and Mahango Game Reserve, posed a significant challenge when it was proclaimed in 2007. The area had acted as a strategic base for the South African Defence Force during the War of Independence. Conservation officials had been banned from their own parks, and virtually no infrastructure remained after the departure of the army. It also houses more than 5 500 people within its borders, most of whom are marginalised Khoe Bushmen. Decades ago, heavy-handed authorities would have forcibly removed residents and settled them somewhere far from their homes. But today’s the approach is to seek ways for people and wildlife to live side by side. Known as landscape-level planning, partners develop holistic land management plans for extensive areas. They are helping to manage wildlife, fire, wildlife diseases and crime. The BMM Project has forged strong partnerships with existing programmes and NGOs on the ground to support common objectives. Integrated planning forums help manage and develop various parks. At regular Bwabwata Technical Committee meetings, stakeholders have a say in how wildlife and other resources are managed. A natural resource-management working group looks at issues inside the park. Bwabwata’s integrated management approach is blazing a trail for national and regional environment and development management initiatives to follow. Several other collaborative forums exist, including the Mudumu North, Mudumu South and Khaudum North complexes. These involve communities in integrated park planning and development, and address matters of mutual concern. Notwithstanding teething problems in some areas, these forums allow stakeholders from various agencies to share information about their activities and prepare collaborative work plans for joint actions. Local Caprivi community. Photo ©Paul van Schalkwyk. Co-ordinated land-use practices encompass neighbouring conservancies and community forests to improve the resource base and provide new economic opportunities. Known as landscape-level planning, partners develop holistic land management plans for extensive areas. They are helping to manage wildlife, fire, wildlife diseases and crime. Along with effective planning, the BMM Parks Project and MET have equipped parks with workable infrastructure and provided park managers and workers with the right management tools and equipment. They believe that investment into staff by improving infrastructure, supplying the right equipment, and providing training and mentorship gives incentive for staff to manage the parks better. Offices and visitor facilities are being built and water, sewer and electricity provided. Staff who previously lived in ramshackle wooden structures have moved into spacious modern, eco-friendly houses, complete with recycled building material, bio-gas and solar energy. Mahango was the first model park station to be constructed. Similar stations are currently being built at Susuwe, in eastern Bwabwata and at Ngenda in Mudumu National Park. Staff have received new vehicles and boats – these are invaluable for patrols and extension work. Placing the north-eastern parks on the map also helps position them within KAZA, Africa’s largest conservation area. This is a joint initiative of the governments of Angola, Botswana, Namibia, Zambia and Zimbabwe, with support from the Federal Republic of Germany through KfW and internationally recognised NGOs like Peace Parks Foundation. 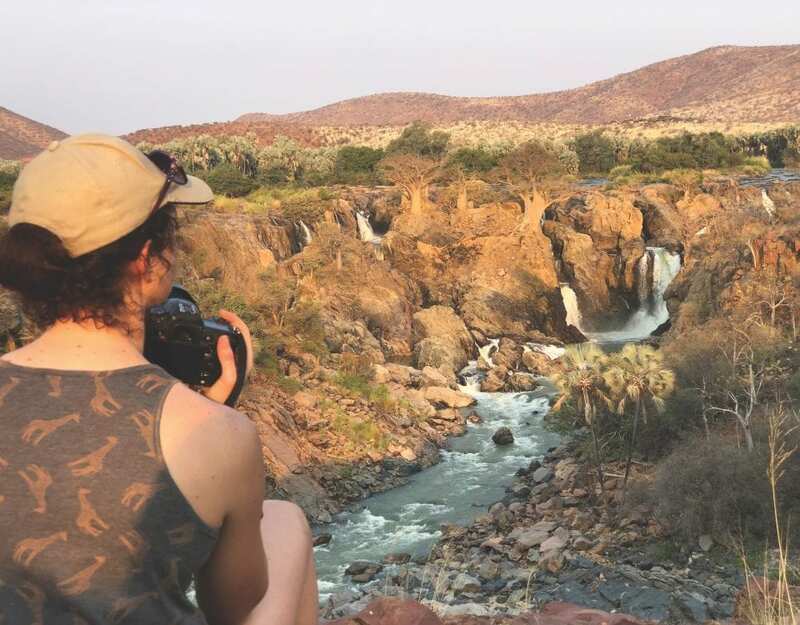 Despite containing iconic destinations such as the Victoria Falls, Okavango Delta, Tsodilo Hills, Chobe National Park and the Zambezi, Kavango, Kwando/ Linyanti and Chobe rivers, this ‘five-countries’ region is relatively underdeveloped. KAZA is aimed at broadening the protected-area network, increasing biodiversity, expanding historical migration routes and attracting more tourists while providing opportunities for socioeconomic development. Cross-border dialogue and co-operation is vital for regional conservation and development. Researchers and managers are focusing on essential ecological processes that maintain the biodiversity of the woodlands and other habitats that cross boundaries and borders. Under the microscope are wildlife dispersal, seasonal and longer-term elephant movements, rainfall and fire variability, water availability and variable vegetation structure. Finding long-term, sustainable solutions to human-wildlife conflict are a major challenge. So too is financing activities from translocations to collaborative forums and KAZA beyond the lifespan of the BMM Parks Project and other donor projects. Hippo in the Zambezi. Photo ©Paul van Schalkwyk. Maintaining management actions, a sense of ownership and empowerment at individual protected area level – which has been the foundation for successful CBNRM in Namibia – is another test for the approach. Increased collaboration at national and regional level must not be pursued at the expense of local-level action, but in addition to it. Yet integrated park management clearly proves that when stakeholders work together to address common challenges, including poverty through local economic development, the conservation of important biodiversity and landscapes can be sustainably achieved. Thousands of empowered people actively conserve their environment and wildlife – and benefit from it. This has transformed the local economy and is helping Namibia to reach its development goals. BMM Parks Project receives financial assistance from the Federal Republic of Germany through KfW and is housed within the Ministry of Environment and Tourism. Started in 2006, the project is in its second phase. A third phase will embrace development in and around the Khaudum National Park. Bwabwata, Mamili and Mudumu are surrounded by 11 conservancies and three community forests. The BMM Project is a sister programme to the Strengthening the Protected Area Network (SPAN) Project.